It's no secret that small group instruction is where it's at! Teachers have kids working in small groups with guided reading, guided math, writer's workshop, science labs, literacy workstations, and more. One small group option not in this list is literature circles, and although literature circles have been around a while, there are many teachers who haven't put them into practice. Today, I'd like to delve into this topic a bit more and hopefully, offer you tips that will excite both you and your students. If you are looking for information on literature circles, Harry Daniels is your guy. I heard him speak about 5-6 years ago, and what he said made lots of sense. First of all, literature circles allow two things voice and choice. Adolescent readers need crave these two options. They want to be in charge, and this gives them just a little piece of it which we can use as motivation. Plus, we know that the effectiveness of cooperative learning is well documented too. (Classroom Instruction That Works: Research-based Strategies for Increasing Student Achievement (Marzano, Pickering & Pollack, 2001) In most companies today, employees aren't working on an island either. Companies want employees to be team players and to follow the "many heads are better than one" philosophy. Another important point to keep in mind is that literature circles are all about discussion. We know that student talk leads to deeper thinking and when there is a disconnect, student talk can clarify. Might kids get off track? possibly. Will one child dominate the conversation? Maybe. Will kids be unprepared? Likely. Even though there is a possibility of it not running perfectly the first few times, with training, students can very effectively run their groups. We want our students building their oral language skills and increase independent reading, and with literature circles, these opportunities are included. [This article] includes supporting documentation. If you run literature circles, you could have a guided reading group working with you, one or two lit groups meeting together, and the remaining students working in stations. On the second rotation, you can pull the students in stations for guided reading giving 40 minutes for the literature circles to read and discuss (or basically run their own guided reading group), and on the last rotation, have one of the two groups meet with you and one group go to stations while the other two groups prepare for lit circles the next day. Of course, this is just one scenario used as an example. My point is training students to run their own small group shifts the workload to the students building thinking power and responsibility. There are a few options for running your groups. One option I touched on with my vocabulary post the other day is Reciprocal Teaching. With reciprocal teaching, you form groups of four. Each student in the group has a specific role or job. The roles include Predictor, Summarizer, Clarifier, and Questioner. If you needed a group of six, you could include a Word Wizard and a Leader who facilitates the group. The role cards to the right are from Felton Firsties. They can be given as the assignments for the day. 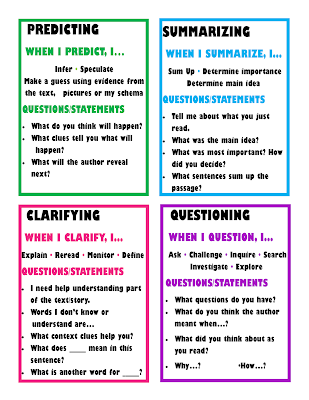 (Or previous day so the student can prepare) Reciprocal teaching brings the group focus to key reading skills such as making predictions, vocabulary, questioning, discussion, and summarizing. If you have a specific skill you'd like the group to address, that could either be another role or added to each student's tasks. 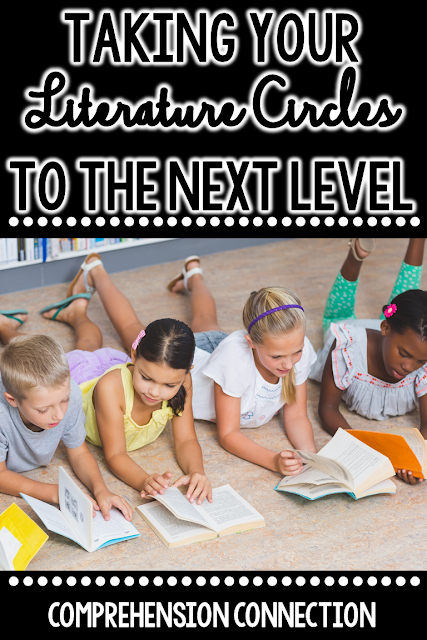 Another option for literature circles is a book club format. Like Reciprocal Teaching, you can establish group roles, and I think by doing so, you'll have greater accountability in the group's discussion and workload. I have run after school book clubs with our students. One struggle we ran into with some was not being prepared to discuss the assigned reading or incomplete work, so be sure you have a game plan in mind for those who need support with organization and time management. To establish individual accountability, you might consider requiring an exit ticket or response log for each meeting date where the student includes the starting point and ending point for their reading and turn something in. To mix things up, you might assign a discussion in the form of a "chat" where students respond to chapter questions and each other through Google Docs. My experience with book clubs has been pretty positive. The kids like the discussion, working on group projects, and the fact that it feels more like "fun" versus "work". Plus, book clubs tend to lead to increased independent reading time and gives students the opportunity to converse and recommend books to each other too. To help you get started with book clubs, you might check out the Book Clubs Made Easy set I've created. 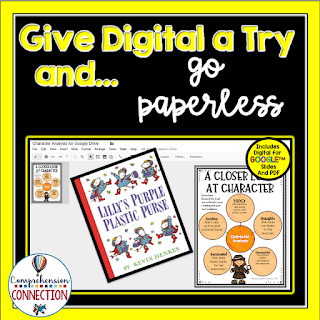 You have both PDF and Digital options with this resource. 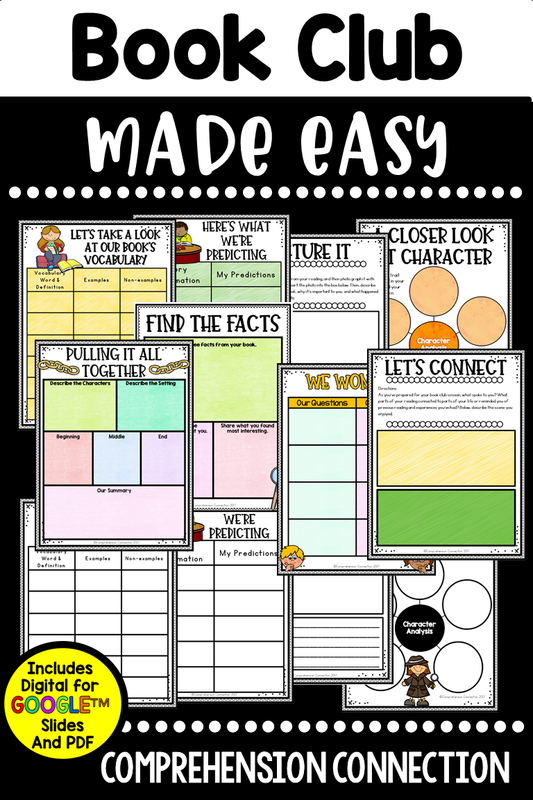 With the PDF, you will print out the pages you need for each child for each session. I've set up the pages so that they can be used with any book. The digital version is intended for use with iPads or laptops using Google slides. With the file, the teacher can assign the specific slide to the student and during the meeting time, the student completes his/her responses and submits via Google Classroom or shares the file with the teacher for grading. For a closer look, you can view the image to the right and below. One last option for literature circles is to go with a novel study. Certainly, there are lots of options to choose from, and with TPT, you can find relatively inexpensive options. Like Book Clubs, you'd have to copy the discussion guides, and your students would need time to read and complete them prior to discussing. The positive is that you can use the novel study for grading purposes and with discussion questions, students have the opportunity to all be prepared for the discussion. The one negative I see with novel studies is that there is a lack of authenticity with the discussion. In a way, we're laying out what the discussion will be versus letting students naturally share their opinions. I think novel studies help expose students to great literature, and in my opinion, there are just some books that every child needs to read such as Where the Red Fern Grows, Because of Winn Dixie, and My Side of the Mountain. With novel studies, I think it is important to move beyond questions and answers though. Kids love hands on projects and writing about their reading, so if you're using a novel study, be sure to include ones that have choices for the student just to keep it fun and fresh. If literature circles is a new concept to you and you feel like you need more information before getting started, I do have a few links you should explore. 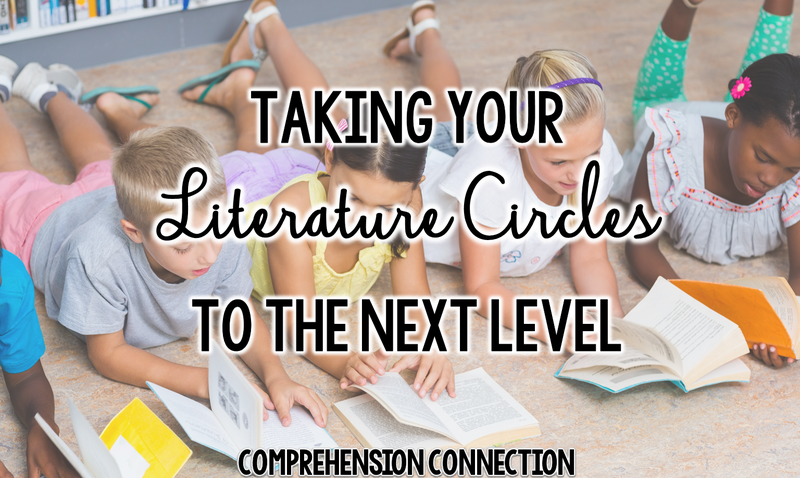 I hope you've found a few ideas to get your lit circle wheels turning. If you have any questions, I am happy to answer them if I can. Have a great school year, and remember, small group instruction is where it's at!